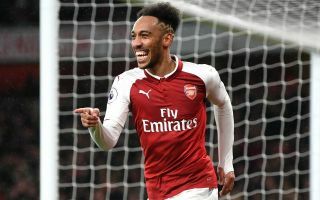 Whether or not Arsenal will appreciate him leaking these statistics is unclear, but Pierre-Emerick Aubameyang has provided some insight into how quick the Gunners are. Unsurprisingly the 29-year-old topped the charts as his pace has been a huge strength of his throughout his career and he pips Hector Bellerin to top spot in these ratings. However, while there are some surprises amongst the list with Sokratis Papastathopoulos coming in third with Shkodran Mustafi in fifth place, the revelation from Aubameyang wasn’t so kind on others with summer signing Matteo Guendouzi the subject of his mockery, as seen in his caption below. The youngster has impressed for the most part so far this season as although he must still develop, improve and mature with regular playing time, he hasn’t been overawed by playing in the Premier League and he’ll hope to continue to play a key role for Arsenal. 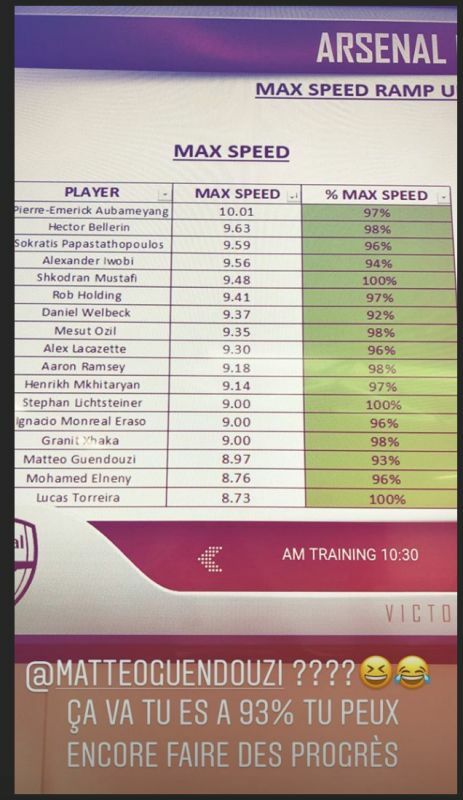 However, he evidently isn’t the quickest while fellow midfielders Mohamed Elneny and Lucas Torreira make up the bottom three along with Granit Xhaka who sits just above them. With that in mind, while it’s likely that Arsenal’s rivals are already aware of their weaknesses, this does expose the fact that they aren’t the quickest in midfield and so any runs into the box may be difficult to track for this quartet in particular.